Palm Pre Review : Boy Genius Report. 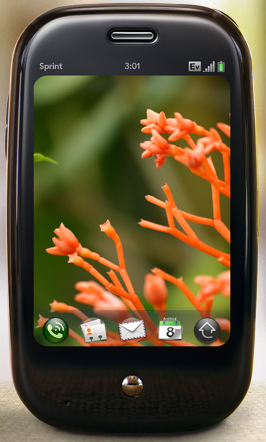 January 8, 2009 by Steve·Comments Off on Palm Pre Announced. Palm announced today that they’ve developed the “Palm pre”, a new device with 802.11 b/g, GPS, touch screen, stereo, bluetooth, 8GB of storage, 3 megapixel camera, 3.1 inch multi-touch screen, usb, and a slide-out keyboard. I’ll get a picture up when I get one. update: Sprint will be the exclusive partner at launch. There appears to be no way to run existing Palm applications on this device. If that’s incorrect, point me at the info that states this, and I’ll post it here.